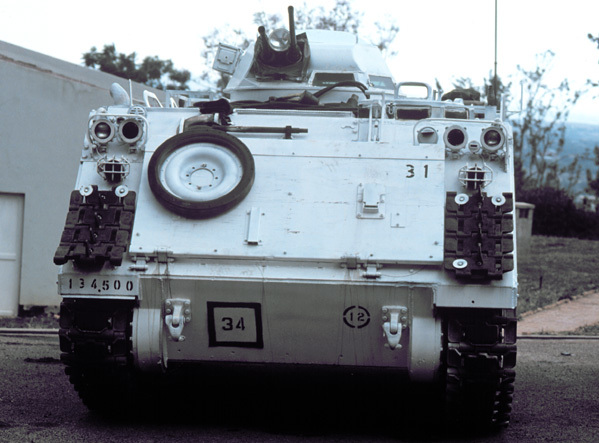 The Townsville-based B Squadron, the 3/4th Cavalry Regiment (3/4 Cav) deployed three M113A1 armoured personnel carriers and one M113A1 fitter to support the Australian Operation Tamar in Rwanda in August 1994. 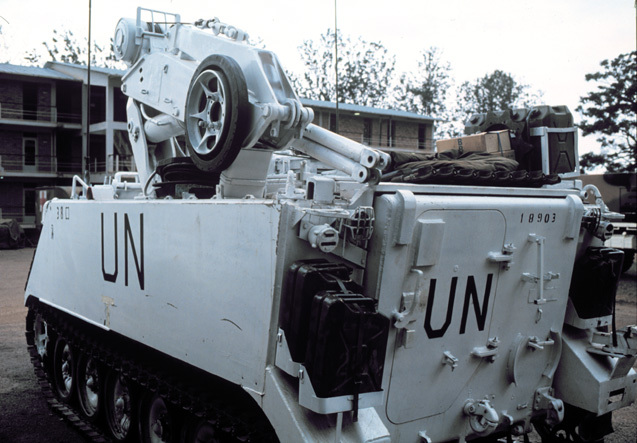 The Australians provided a medical contingent to the United Nation Assistance Mission in Rwanda (UNAMIR), which was protected by a company of infantry from the 2/4th Battalion of the Royal Australian Regiment. 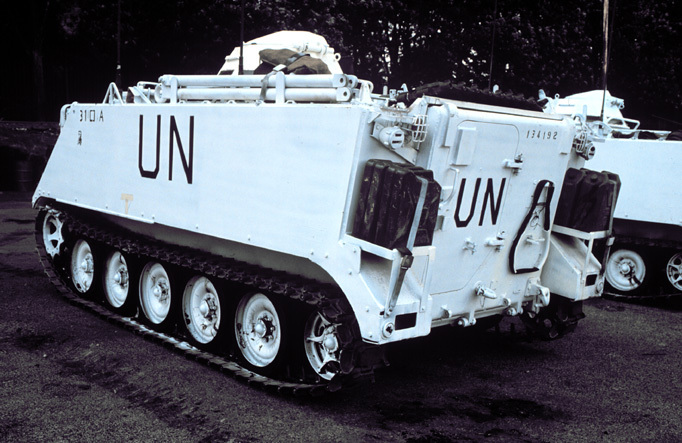 The vehicles are historic in that they were the first Australian armour bear the white United Nations livery. 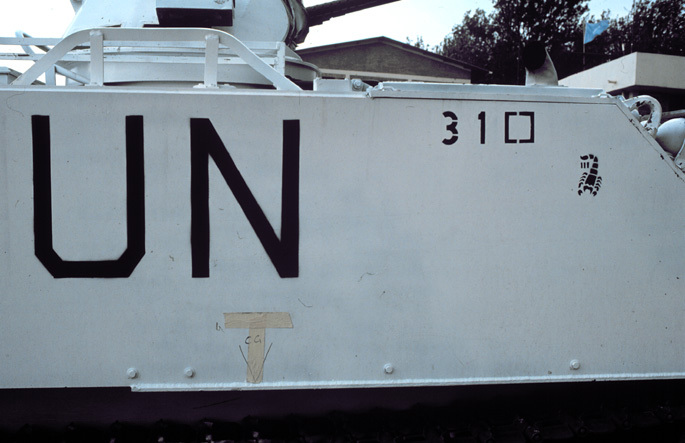 The M113A1 APC were unmodified from standard 3/4 Cav stowage, which included racks for .30 and .50 ammunition boxes on the hull roof, apart from racks on the rear most aerial mount guards for coils of barbed wire, which later carved curved swathes in the paint. The vehicles were painted in their bays at Townsville prior to being sent. Vietnam era style pintle mounts for .30cal Browning machine guns were requested to be fitted on each Cadillac-Gage turret by carrier section commander Sgt Steve Lennon, but permission was denied due to the humanitarian nature of the mission. 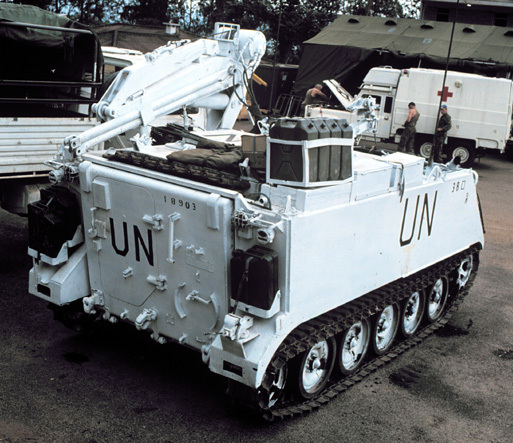 Each vehicle also carried a 40mm M 79 grenade launcher for illumination rounds. 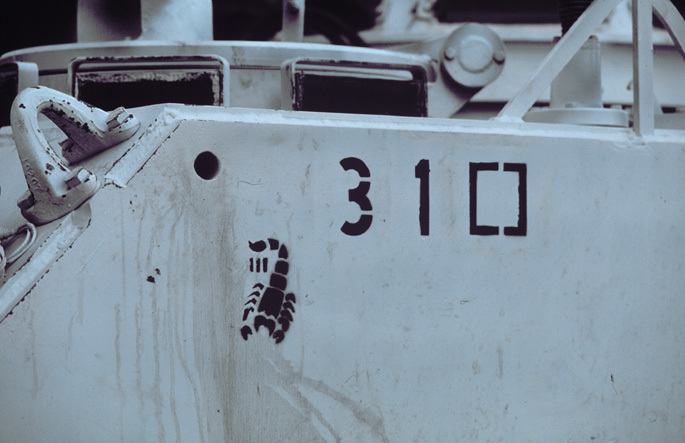 The vehicles were handed over to the mechanised infantry of the 5/7th Battalion, The Royal Australian Regiment (5/7 RAR) for the second and final six month rotation of Australian forces in Rwanda in February, 1995, when no doubt the distinctive 3/4 Cav scorpion insignia would have been replaced with a tiger's head. One of the vehicles in Rwanda reportedly served at least one tour of duty in Vietnam, was in Somalia with Operation Solace in 1993, and is presently in East Timor with the 2/14th Light Horse (Queensland Mounted Infantry). The Australian War Memorial is investigating with a view to acquiring the vehicle.